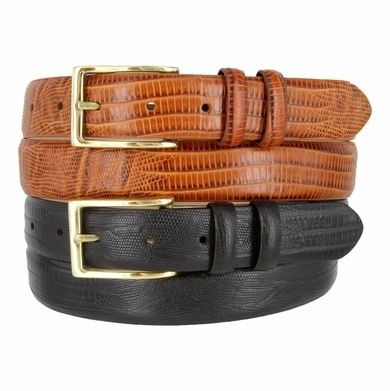 Kid's Embossed italian Leather Dress Belt 1-1/8" wide. Genuine Italian Calfskin Lined with Soft Genuine Leather. Solid Brass Buckle with Matching Leather Keepers. Belt will come with 7 adjustment holes.